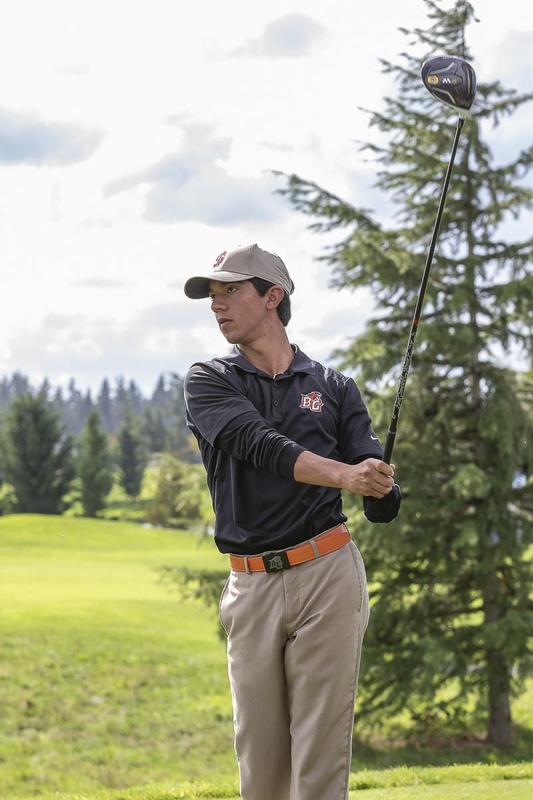 RIDGEFIELD — The defending state champion had not won a district championship. Graham Moody of Mountain View, who won the Class 3A state title last spring, won the 3A District 4 boys golf tournament Tuesday at Tri-Mountain Golf Course, topping his teammate, Willy Yeh, by three strokes. A year ago, it was Yeh who won the district title in the fall. Then in the spring, Moody won the state championship. Both were freshmen when they accomplished those feats. Now as sophomores, they are both looking forward to more success with the Thunder. “My goal in the spring will be to play well at bi-district, then have a good chance to win at state,” Yeh said. He knows that one does not have to win district in order to win state. After all, he saw his teammate do that last school year. 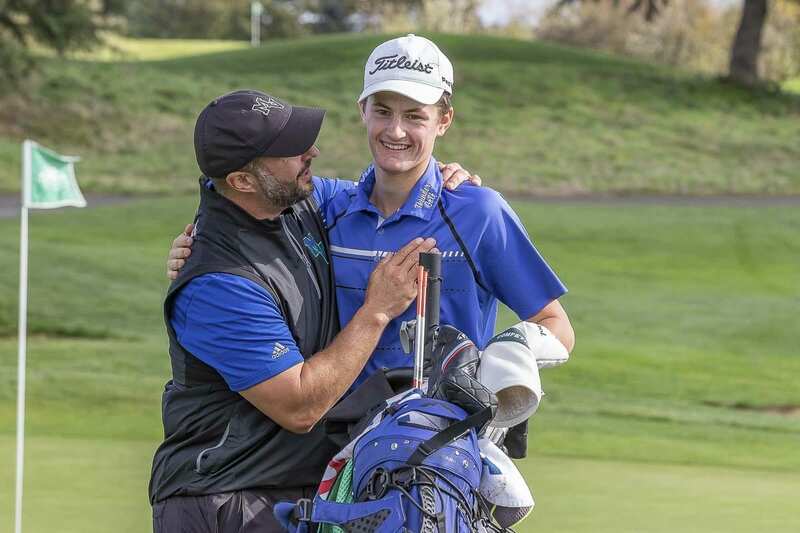 In the 4A tournament, Anthony Tobias of Battle Ground had a strong finish to force a playoff, then made birdie putt on the first hole of sudden death to top Owen Huntington of Camas. “As soon I hit it, it was looking pretty good, and I had been feeling the putter most of the day,” Tobias said of the winning shot. “It still setting in. It’s still setting in,” he said of the title, acknowledging he got a little emotional when he was hugging family and friends. The 3A tournament went off the first this year. Moody held a two-stroke lead over Yeh after Monday’s first round. Neither was pleased with how they played Tuesday, but Moody ended up recording a 71-76 for a 147 total. Yeh was 73-77 for 150. He said he missed too many short putts Tuesday. The weather was much improved Tuesday over Monday’s rain storm. Moody said his 1-under 71 on Monday was strong, considering the conditions. Which is why he was bummed at his game Tuesday. Yeh had a similar point of view from his performance. 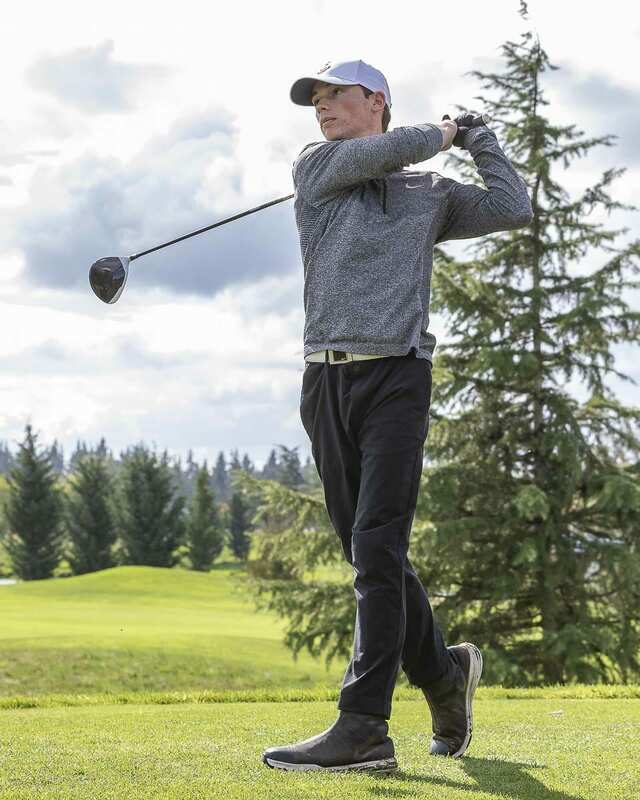 Boys golfers in Southwest Washington play their regular season and district in the fall. Then they take a break. 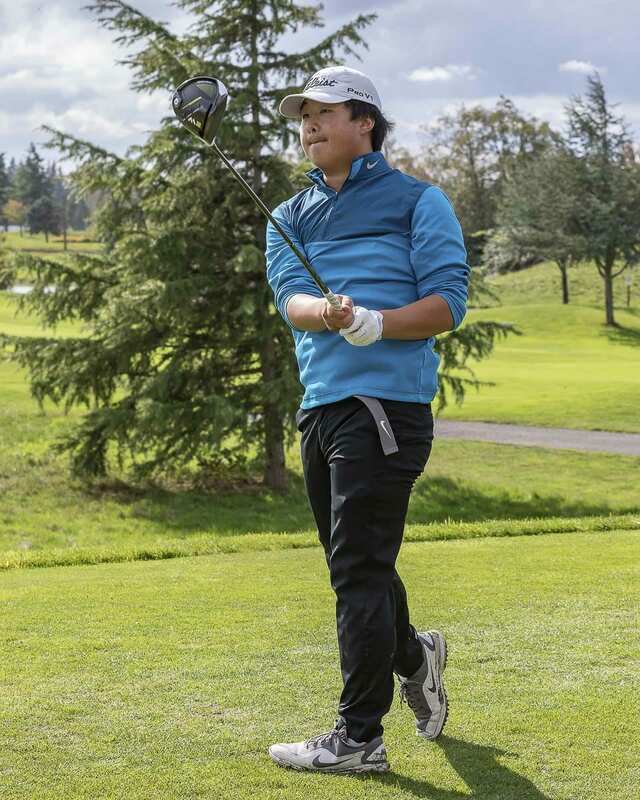 This school year, for the first time, teams will play for state in stroke play, along with individual competition. But unlike in years past when the top players would qualify for state directly from district, all must go to bi-district in the spring to earn a trip to state. Mountain View will be a favorite there after rolling to the team title at district. “I’m really proud of the work we’ve done as a team,” Moody said. Individually, a year ago it was Yeh and then Moody at district. This year, the other way around. 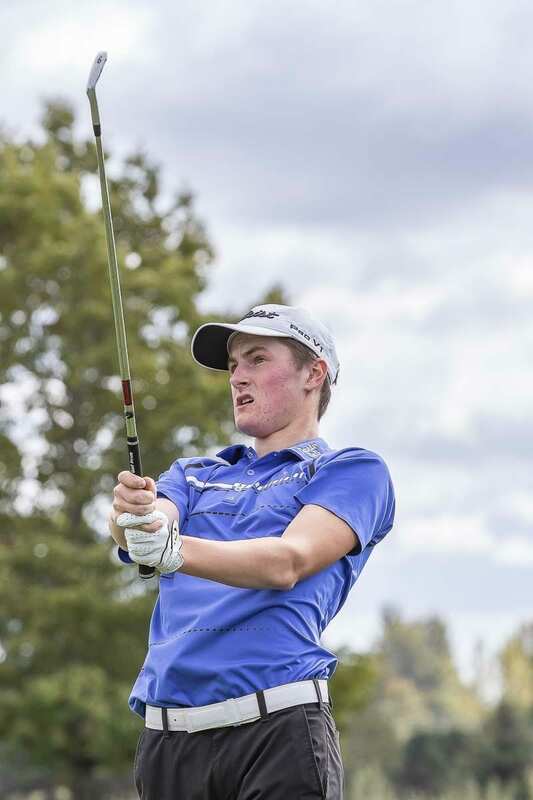 The 4A tournament finished later in the afternoon, Tobias firing an even-par 35 to make up a four-shot deficit to get into a playoff. Tobias and Huntington finished with a two-day total of 153. Tobias credited his short game for saving him in the final round. And noted his teammates and coach for helping him improve that short game. Both players hit perfect drives on the first playoff hole and both had birdie putts. Huntington just missed his attempt, leaving an opening for Tobias to win. 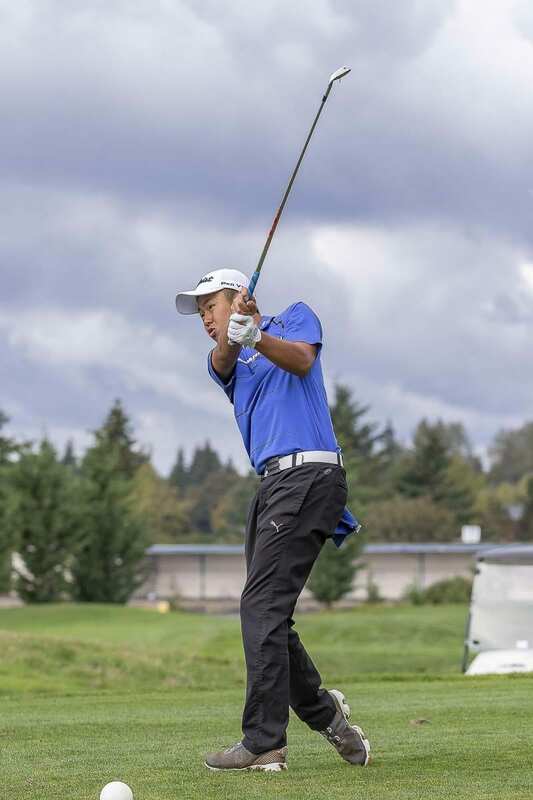 Skyview won the team championship, Anthony Chae led the team, finishing fourth with his 157. Five of the six Storm improved their scoring on Day 2, including Morgan Huseby who was 10 shots better Tuesday than Monday. Skyview won by three strokes.